Cedarvale’s residential development began in 1912 when Sir Henry Mill Pellatt, the builder of Toronto’s famous Casa Loma registered a plan of subdivision for the south end of this neighbourhood under the name “Cedar Vale”. Vale denoted the ravine that runs through the centre of this neighbourhood and the Cedar part of the name makes reference to the many cedars that grew in the wet lowlands of the ravine. The Cedarvale Ravine which has long been the foundation of this neighbourhood was threatened in 1966, when the proposed Spadina Expressway was slated to run straight through the ravine on its way downtown. Some Cedarvale houses were expropriated and the floor of the ravine was clearcut to make room for the expressway. Fortunately strong opposition to the expressway was voiced throughout the city and in 1974 the decision was made to stop the Spadina Expressway (officially called the W.R. Allen Road) at Eglinton Avenue, thus preserving the centrerpiece of this popular Toronto neighbourhood. Cedarvale’s Tudor and Georgian style houses were built mostly between 1920 and 1950. 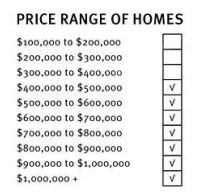 The bigger and more expensive Cedarvale homes are on premium lots overlooking the ravine. 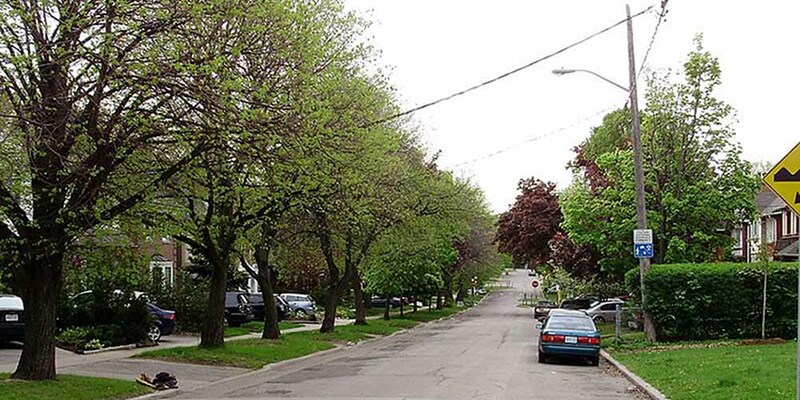 Cedarvale’s interior streets contain a mix of good size family homes and sturdy little starter homes. There are also a number of multi-plex houses and walk-up apartment buildings located on the periphery of this neighbourhood. Eglinton Avenue West is one of Toronto’s most glamorous and ritzy shopping districts. Included in the mix are high end fashion stores, gift and home improvement stores, specialty food shops, professional services and an excellent variety of restaurants. 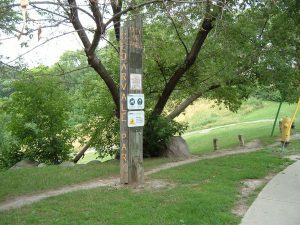 The Cedarvale Ravine can be accessed through Cedarvale Park at Ava and Everden Roads. This ravine is enjoyed by walkers, cyclists, joggers, bird watchers and in the wintertime cross country skiers. Cedarvale Ravine is part of the historic Belt Line Railway path – an old commuter railway right of way – that dates back to the 1880’s. 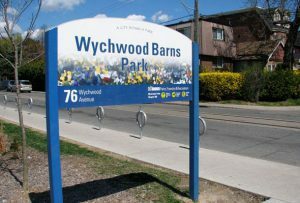 Cedarvale Park located at the north end of the ravine provides local residents with a multi-use recreational space that includes tennis courts, playing fields and the Phil White indoor ice arena. Bus service on Bathurst Street, and Vaughan Road connects passengers to the Bathurst station on the Bloor-Danforth subway line. The Eglinton Avenue Road West bus connects passengers to the Eglinton station on the Yonge-University-Spadina subway line. Cedarvale Park (originally known as Cedar Vale) is a park located in Toronto,Ontario, Canada. 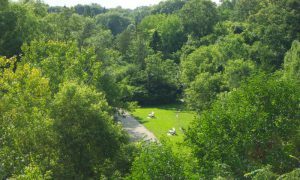 It is bordered by very steep hills, and is located in the Cedarvale neighbourhood of Toronto. The Spadina subway line tunnels underneath it, between St. Clair West and Eglinton West stations. The north end of the park contains the Phil White (Cedarvale) Arena and The Leo Baeck Day School, formerly Arlington Middle School. It is commonly used for dog walkers and students returning from the nearby school and the large open fields are heavily used by the community for everything from cricket games to flying kites. 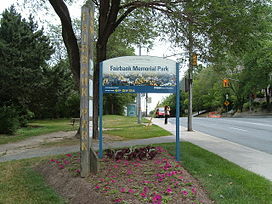 A small park near Bathurst Street and Eglinton Avenue West that features a children’s playground. A small park with a mature tree canopy near St.Clair Avenue West and Bathurst Street that features a childrens playground.